We thought that it was important that families with a disabled member should be able to have access to a facility that offered recreation and fun for everyone. The aim of the charity is to raise enough money, through fundraising and grants, to be able to provide a specialist swing, trampoline, roundabout and climbing area together with some sensory equipment, adjacent to an existing park. All equipment except the swing is also able to be used by able bodied children. The swing is amazing and is adapted specifically for those in wheelchairs. The whole Park will cost £70,000 so we have a long way to go. We hope to hold many fundraising events throughout the year and have also applied for Lottery funding. The Park will be open to all children who live or visit the area and we hope that it will increase the quality of life of all who use the facilities. Flint Unit : The inclusive Flint Unit is designed to promote inclusive play, benefiting from having wide staircase with yellow step edging for improved visual and the added help of the plastic grip tread steps. Children can also gain access to the platform by testing their strength on the half pipe climb via the rubber holds or the rope aid on each side. Once they’re up on the platform they can have a play with the game panel or go straight down the wide slide with our without a family member or friend at the same time! Ability Swing: Designed to allow everyone the right to play with the added safety of a four point restraint (as used in minibuses) and the enclosure which can only be accessed by those with an accessible key. Ability Whirl: An award-winning roundabout that is accessible to all. 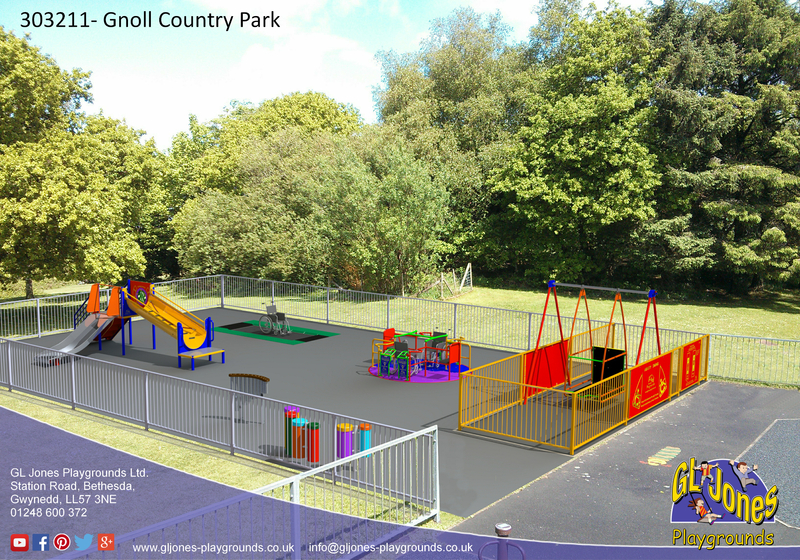 It comes with secure safety features allowing everyone with a sense of freedom and independence whilst promoting inclusive play. Ability Trampoline: The AbilityTrampoline is fitted flush with the ground. Having access on both ends allowing easy access on and off plus the added safety feature of finger traps being eliminated it truly can be used and enjoyed by all. Sensory Equipment: Bringing the playground alive with some music which is accessible by all! The congas and hand pipes are great robust music equipment for an open play park as no beaters are required and both can be played with the simple beat of a hand.